Currently half price, not bad for a large version. 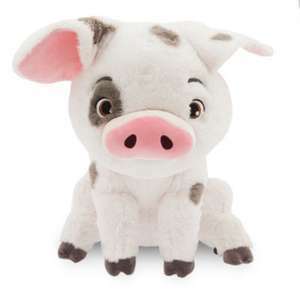 Bring Moana's loveable sidekick home with our super-snuggly Pua soft toy. With his floppy ears and endearing expression, there's no doubt that Pua is the cutest pot-belly pig in all the Pacific! Great price for a really well made plush toy - my other half loves hers!